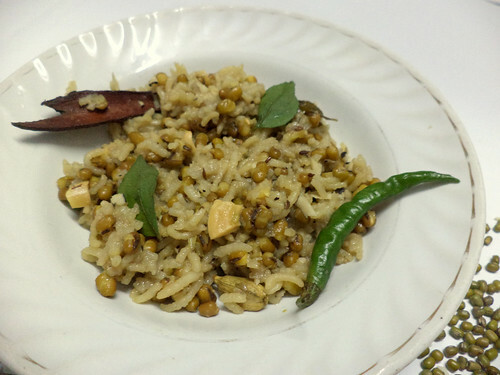 Isha teaches Hosh how to cook spicy Khichdi, Lentils Rice, a prominent ancient Ayurvedic Satvik diet improvised & served as a popular, convenient comfort food. "Ma, when I’m a bit short on time,” Hosh asked, "is there a mains dish which I can cook with vegetables in one go, instead of having to make them both separately?" 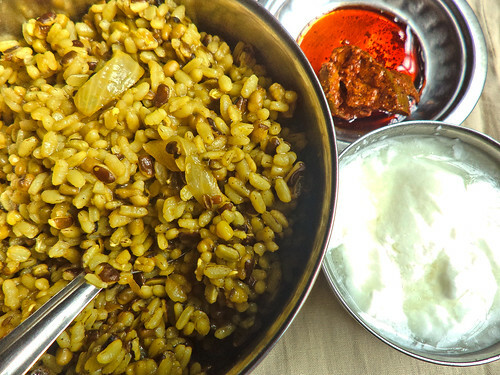 "Khichdi,” Isha answered. “The ancient Indian dish, popular amongst the poor since before Christ. Seleucus Nicator, a Greek ambassador (ca. 358 BC-281 BC), recorded its popularity amongst South Asians." “Afanasiy Nikitin, a Russian adventurer who travelled to South Asia in the 15th century, also described Khichdi in his writings. Interestingly, despite its long ancient history, Khichdi still remains a contemporary popular dish in Pakistan, India and Bangladesh today." “This non-spicy vegetarian rice dish is light and nutritious. So, it is also more easily digestible than other dishes with grains, meat or spices. For these reasons, it is considered Satvik Ahaar, which literally means Spiritual Food." "It is also a very prominent ayurvedic diet, commonly used with natural cures for children, elderly and sick, especially those having stomach ailments. Most rice varieties work well in Khichdi preparation, as Khichdi is ideally a sticky dish anyway." "Traditionally, it is also the first solid that babies are introduced to, when weaning them off mother’s milk. Rice and lentils are simmered till mushy, seasoned with turmeric and salt, and fed to infants to introduce them to adult food." "Due to the convenience of being able to cook Khichri with vegetables too, in one go, Khichdi has become popular recently as a comfort food, or camp food. People are more commonly cooking it with spices and serving it with pickles, papads or yoghurt." “The spicy one!” Hosh answered. They laughed. He watched a YouTube video showing how to cook Khichdi, while she wrote down an Ingredients List, before giving him her own recipe. Once the ingredients had been gathered, she made him wash the mixture of Dal and Rice a few times, and left it to sit. Then she asked him to fry cinnamon sticks, cumin seeds and curry leaves on high heat for a minute in oil in a heavy pan. Hosh cooked as instructed, and the aroma made his stomach rumble and mouth water with desire. As soon as it was done, he garnished and served.